Bergoglio is doing and saying so many non-Catholic things that the Novus Ordo conservatives, and really all that regard him as a true pope, are practically going insane in order to find solutions in some way to keep him as the “pope.” It is hardly necessary any more to make an argument about Bergoglio’s abandonment of Roman Catholicism. The Bergoglio-ites, therefore, must take refuge in some principle which protects him from the attacks of the sedevacantists. One such principle is mentevacantism. This is a word coined by Father Cekada in his response to Bishop Williamson’s claim, made a number of years ago but often repeated, that Novus Ordo “popes” are incapable of the sin of heresy for the reason that they cannot think straight. 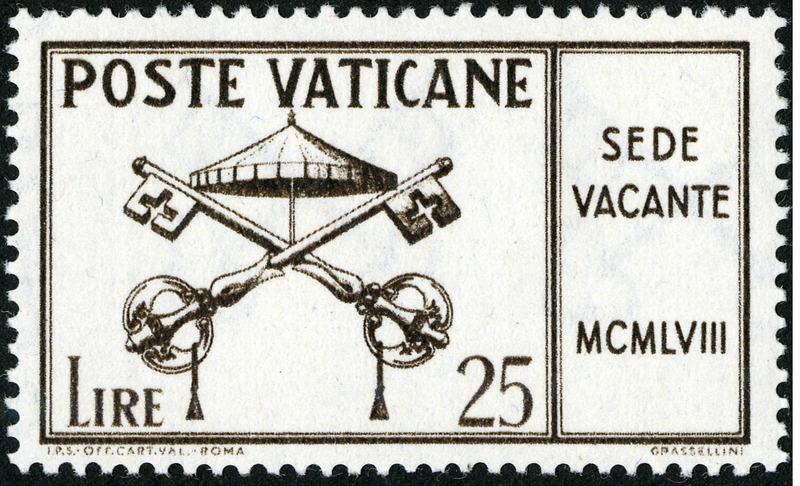 Bishop Williamson claims that because the Vatican II “popes” are subjectivists, and cannot conceive of a fixed and unchanging truth, they are incapable of the sin of heresy. 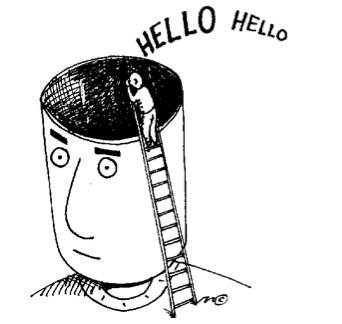 The word mentevacantism means “empty-mindedness,” and is obviously a play on the word sedevacantism. Is it true, however, to say that Novus Ordo “popes” are incapable of heresy? Absolutely not. Mentevacantism involves necessarily a naturalistic view of the virtue of faith. The supernatural virtue of faith is defined as that virtue by which the intellect, informed concerning revelation, freely assents to the truth revealed by God and proposed by the Church because of the authority of God. The act of faith, as opposed to the virtue, is defined as an act of the intellect, by which, by the command of the will moved by grace, we firmly believe the truths revealed by God and proposed by the Church because of the authority of God revealing. These definitions require some explanation. First of all, a virtue is a habit which inclines us to do something good. In this way a piano player has the habit of piano-playing, which inclines him to play well. An act, on the other hand, is to operate in accordance with the habit. So the piano player might play a Mozart piece very well. The same distinction may be made in regard to the virtue and act of faith. The supernatural virtue of faith is a habit which is infused by God into our souls at baptism, whereby we are inclined to make acts of assent to truths revealed by God and proposed by the Catholic Church. We assent because of the authority of God revealing, and not because we are convinced by evidence for these truths. The truths of our faith, in other words, are not mere convictions which we may have, such as political convictions. The act of faith is the operation of this virtue producing the act of assent when we are in the intellectual presence of some supernaturally revealed truth, when we are thinking about it, when we hear it in a sermon perhaps, or read it in a book. Notice that the definition includes the very important, and indeed essential element that the will is moved by God through grace. By actual grace the intellect is moved to assent to these truths. The proposition of the Church is also necessary, since otherwise it would be impossible to distinguish what should be believed from what should not be believed. One of the essential roles of the Church is to propose infallibly the truths which are contained in divine revelation. Protestants deny this authority of the Church, and we are not surprised to see their religion to have devolved into a dogmatic chaos since, precisely, no one really knows what God has revealed, and what He has not. We therefore understand that the act of faith proceeds from a supernatural virtue, infused by God, and that the act itself is the result of a divine movement. The object of faith. The next question is: What is the object of faith? What do we give our assent to? The answer is that the object of faith is the dogmas of the Catholic Church. These are truths revealed by God and proposed by the Church as having been revealed by God. They therefore meet the standards of the virtue of faith, and the intellect, under the influence of the grace of God, assents to them. The motive of faith. What moves our mind to assent, especially to mysteries which we do not fully understand, and which are above reason? The answer is that the authority of God revealing is what moves the intellect to assent, and not some rational evidence, which is the motive of our natural convictions. In other words, we hold the dogmas to be true because God has revealed them, who can neither deceive nor be deceived. Immutable truth. Because God never changes, indeed cannot change, it follows that the dogmas of the Catholic Church are immutable truths, that is, are incapable of being changed. We assent to them as they are immutable, that is, with full knowledge of their immutability. This inability to be changed is a necessary quality of these divine truths, and consequently a necessary quality of our assent to them. In other words, we assent to necessarily immutable truths. If we fail in this regard, we do not have supernatural faith. By analogy, a marriage is by nature indissoluble. If the marrying parties do not consent to an indissoluble marriage, there is no marriage at all. Mentevacantism is actually an argument for sedevacantism. The mentevacantist says that the Novus Ordo popes cannot even conceive of an immutable truth. Therefore they cannot be heretics. I respond that if it is true that they cannot conceive of an immutable truth, then it is proof positive that they do not have the supernatural virtue of faith and are therefore heretics, or worse atheists. (More and more I am inclined to say that Bergoglio is a marxist atheist). The supernatural virtue of faith is not dependent upon or affected by any of our natural intellectual errors. It is not necessary that we be trained in Thomistic philosophy and theology in order to have the Catholic faith. Simple and illiterate people may have it, and do have it, even if in the natural order they are mixed up, confused and in error about a great many things. In fact, the whole purpose of the supernatural infused virtue is to liberate the mind from its error, and to give it a motive of assent which is essentially different from the natural motives of assent. The supernatural virtue therefore saves the intellect from its problems of error and ignorance, and elevates it to assent, under the influence of grace, to immutable supernatural truths. Consequently, the mind that is not capable of heresy is the mind which is not capable of the faith. For heresy is immediately understood as the opposite of the object of faith. If we believe by faith that Christ is God, we know that the proposition, Christ is not God, is not only false, but also against faith. The person who does not understand the notion of heresy reveals to all that he lacks the virtue of faith. For the faith is necessarily independent of his weird ideas. Dementia. When monarchs become too demented to rule, or are too young to rule, there is appointed a regent, that is, someone who is not in fact the true monarch, but who has the power of the monarch to rule the country. So George III of England became too insane to rule, and was replaced until his death by a regent. Likewise a demented pope would not be able to rule. The reason is that he would be incapable of directing the Church toward its proper ends. In his dementia, he might define that there are four or five persons in the Trinity. The inability to know a fixed truth, in the case of a pope, is analogous to physical dementia. In order to teach the faith to the whole Church, he must first conceive in his mind the truths of the faith, which, as I said, are necessarily immutable. If he is incapable of conceiving such truths, he is incapable of directing the Church to its primary essential end, which is to teach infallibly the revelation of God to the entire world. It would be something like appointing a blind man to fly an airplane. He is radically incapable of it. And what would everyone do if it were announced that the pilot were blind? All those with common sense would charge for the door to get out as fast as they could. Mentevacantism is nonsense even from the natural point of view. Even naturally speaking, that is, apart from supernatural faith, it is impossible that the mind be incapable of conceiving of a fixed truth. This is so because the mind is necessarily ruled by what we call the first principles of reason, which are implicitly affirmed in everything we know. The most fundamental of these principles is known as the principle of contradiction, whereby the mind is necessitated, by the very laws of being itself, to negate the opposite of what it knows to be true. For example, if I say, all men are rational, I must necessarily negate the sentence: some man is not rational. Likewise if I say: no truth is fixed, I must necessarily negate: some truth is fixed. And thus the denier of fixed truths finds that there are fixed truths, for even in trying to negate the fixed truth, he nonetheless asserts no truth is fixed as a fixed truth. This entry was posted in Francis, Sedevacantism, Vatican II and tagged Bishop Williamson, Catholic Church, Modernism, Novus Ordo, Roman Catholic Church. Bookmark the permalink. Bishop Sanborn, like always, you have a way of concretising what can be so abstract in words that are so easy to understand and so revealing. Thank you so much for taking the time to educate us! What we do without priests and bishops like your self. God bless you!